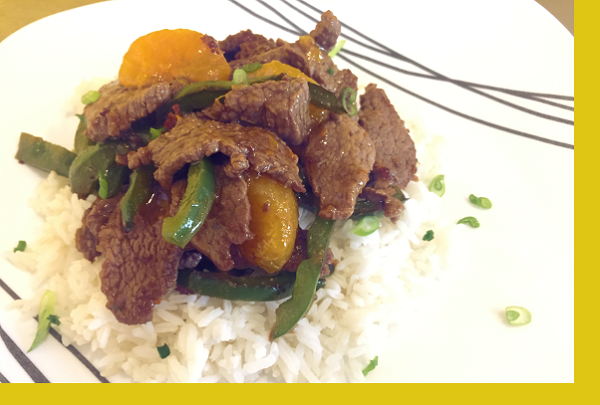 Crispy, stir fried beef in a delicious orange sauce together with bell peppers and mandarin oranges. Make it homemade for a healthier and better alternative over most Chinese restaurants. Cover a large saute pan with oil and heat on high heat. Add meat to pan, season with salt & pepper to taste, cook for 2 mins until browned. Remove meat. Add bell peppers. Cook 2 mins and remove. Add sauce, bring to boil, cooking 30 secs until thickened. 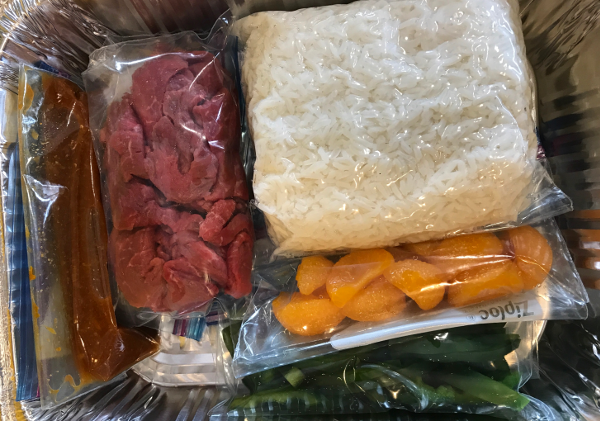 Return beef and bell peppers to pan. Add oranges. Cook for 2 mins or until warmed through. 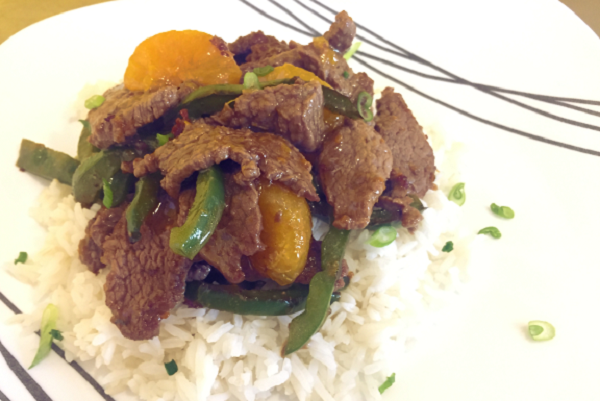 Remove and serve with reheated rice.